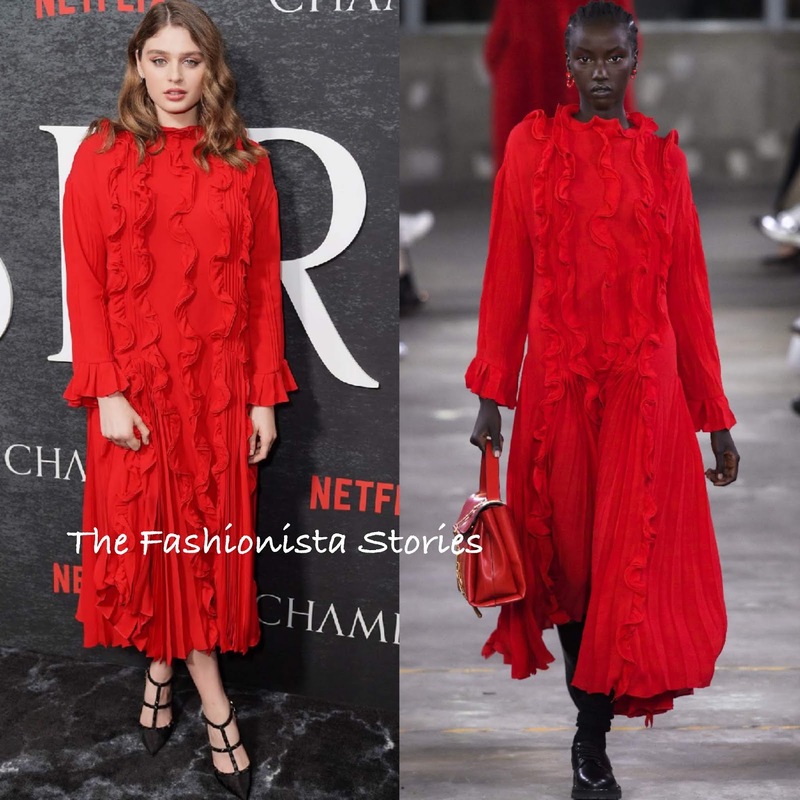 Lilliya Scarlett Reid caught my eye when she stepped out for the season 1 premiere of her Netflix series 'Chambers' at the Metrograph yesterday evening(April 15th) in New York. For her attendance, VALENTINO was on the style menu as she chose a dress from the fashion house PRE-FALL 2019 collection. Her red ruffle pleated dress was paired with the once celeb favorite 'Rockstud' pumps in black, which are also Valentino. The shoes are a snooze and I think a simple metallic ankle strap pump or sandal would have been ideal. Also I am not liking the shape of this dress on her. I am interested in seeing how the dress would fair if it was belted at the waist. Beauty look was flawless which topped off her look. What do you think of Lilliya's look?